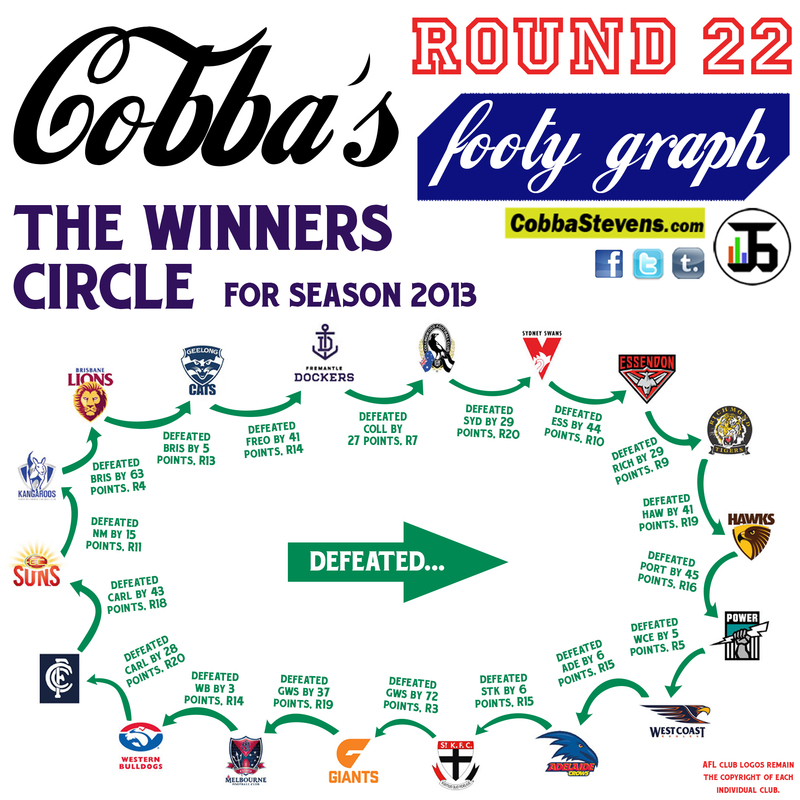 With the Mad Monday just around the corner for 10 of the unlucky clubs, 8 others will be focusing their thoughts on the climax of season 2013. What a season it has been. Within weeks we’ll begin to see those yearly montage/highlight packages that remind us of all those moments through the year. Who has been the best in the home and away season? Hawthorn, probably. ‘But Geelong beat them?’ I hear you say. Ah yes, but Brisbane beat Geelong. Does that mean the Lions were the best team of season 2013? Probably not. But it got me thinking, it has been a topsy-turvy 22 rounds, and every team has had unexpected wins and unexpected losses. So here is 2013 all summed up for you. The 2013 winners circle.